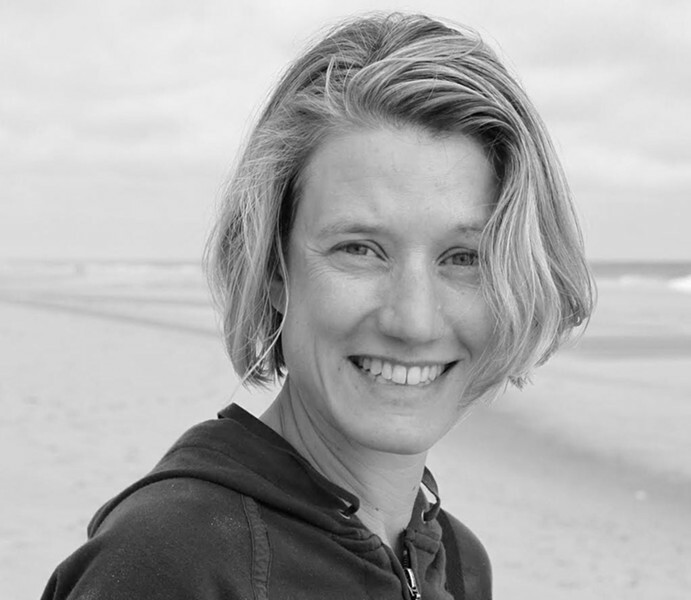 In her debut collection, Steel, Burlington poet and psychotherapist Alison Prine constructs a sharp portrait of grief and winds through her own life in pursuit of ever-open questions. Winner of the San Diego-based Cider Press Review's annual Book Award in 2014, the book includes an introduction by the contest's judge, Jeffrey Harrison. He notes, "Two tragic events haunt this powerful first collection — the early loss of the poet's mother, and her brother's death." Prine's mother was killed in a car crash when she was 4; her brother committed suicide in 2008. Prine, 51, has written poetry as long as she can remember, she told Seven Days by phone, but did not pursue publication until 2008. Since then, many of her individual poems have appeared in literary journals nationwide, including Green Mountains Review, the University of California-Irvine's Faultline, Harvard Review and Shenandoah. "A poet is someone who writes poetry, and I've been writing all my life. I decided to make more space for it," Prine said of publishing. "I guess I had to be more of a grown-up to have the courage to leap into it." The 55 poems in Steel — which, collectively, are nearly too forceful to read in one sitting — resemble separate entities less than they do overlapping variations on a theme. They bring to mind Emily Dickinson's observation that "Success in Circuit lies." With the exception of two pantoums, the works in Steel are free-form. And, though overwrought in places, the poems maintain a sense of raw honesty. Prine's gift is deftly to present a central experience — loss — as an ongoing riddle of disorientation. She creates reading experiences that approximate grief's stranger qualities: the weightlessness of dissociation, for example, or a sense of focus gone haywire. Her motifs include birds (lots of them), building and infrastructure, cyclical patterns, rivers and the ocean, shores and edges, meteorology, and clairvoyance. "Every landscape is autobiographical," Prine writes in "Watermark." The same poem lists the sounds that make "The difference between the ocean / and a picture of the ocean." Prine makes evident a continual task of calculation, documenting the confounding work of trying to understand self, environment and language as a single, interconnected unit. In "Into Apples," she asserts, "I intend to get as close to indivisible / as a girl from Pennsylvania can." Prine pays close attention to numerical values and alternative forms of logic throughout. In the opening poem, "The engineers taught us," she writes: "[The engineers taught us] to check one hundred times a day / and tomorrow we will keep on checking." She describes herself in relation to her parents as "the sum total of their multiplication." In "Orchard," she offers, "I wish I knew how many trees / it takes to make a reason." The poem "If, Then" plays openly with the conventions of logical propositions. Ultimately, though, Prine's words convey an ample awareness of the inadequacy of counting — and, more generally, of trying to reason one's way out of the unbearable. In "I would like to speak to the man in charge," she asks, "What do you propose we do when our questions / become useless?" Prine hints that turning to the solitary task of constructing something else — something internal and inherently personal — may be one answer to her own question. In the collection's opening poem, she offers: "There is only building from the inside / and its necessary loneliness." Later, in "Choice," she writes, "I needed many hours, / one against the next without / interruption." 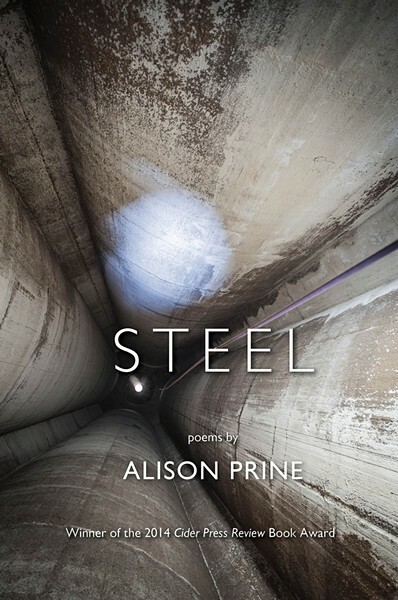 Steel by Alison Prine, Cider Press Review, 90pages. $17.95. A more significant exploration of the shortcomings of a rational approach is Prine's gentle condemnation of language. In "I am sorry," she writes, "I am sorry that I have / no second language with which / I could grow to understand my first." Clouds "refuse to be described / except in the language with which they describe themselves" in "Naming the Waves." Recognizing words' incapacity to articulate experience fully, Prine turns elements of nature into a language of their own, symbols whose meanings she deliberately and irrevocably fuses with her emotional experience. In "The Last Day," she writes, "[This is] What they mean by variegated / when grief comes at the onset of flowers." Within this imagery of the wildness of nature and time, birds take on central significance, appearing in most of the poems. They are the subjects of prolonged observation — an interest Prine shares with her father, to whom the book is dedicated. In "Displace," she writes, "A secular way of praying: / flock of cormorants gliding through the mist." Though she references various avian species, geese in particular seem to hold a fascination for Prine — presumably for their migratory comings and goings. Repetitive patterns course through Steel. "I notice that Wednesday keeps repeating / after a pause, like rain," Prine writes in "Brother and Sister"; and "Light repeats itself with brave conviction" in "Rings." In "Surgeon," the landscape of winter and its passing is juxtaposed with the author's face as she undergoes the procedure evoked by the title. Here, February is a "needle that / sews shut a season of sleep"; and "There was a man who sewed / my face after an accident / that changed the alignment / of every season after ... leaving me legible / for all winters to come." Prine shows her preoccupation with the face-as-landscape metaphor particularly emphatically in "Darkroom," describing a year in which the only photographs she took were self-portraits. The collection's title holds manifold references, beginning with a nod to the industry of Prine's hometown, Pittsburgh, Pa., where she lived until leaving for college. Particularly in the book's early poems, the city stands in for a home whose familiar terrain is made strange by the trauma of death. "Long After the Accident" implicates "the steel grinding / confusion of who came through / and who didn't." The poem "Steel," near the end of the book, gestures toward the gun the author's brother used to kill himself. Most important here, perhaps, are the contradictions of steel, which can symbolize both threatening hardness — cars, weapons — and emotional resilience. Like language, family and time, Prine's words show us, steel represents strength and destruction in measures we can never fully grasp. when grief comes at the onset of flowers. painful and plentiful and brief. arching over him, allowing him. Prine reads from Steel at a reception on Friday, January 29, 6 to 8 p.m., at BCA Center in Burlington. The original print version of this article was headlined "Like Heavy Metal"